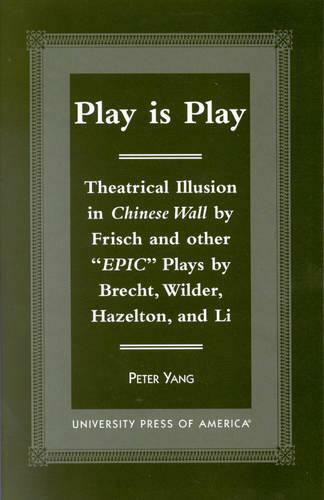 Although traditional comparative literary research has always placed 'epic' plays of Brecht, Fisch, Wilder, Hazelton, and Li in the category of the same name, the label 'epic' actually minimizes the nature of these plays and the ways in which they have influenced modern world theatre. The 'epic' plays of these playwrights are not strictly 'epic,' but also theatrical. Because these plays have consciously involved spectators, they have created a double illusion, enhancing the original illusion rather than destroying it.